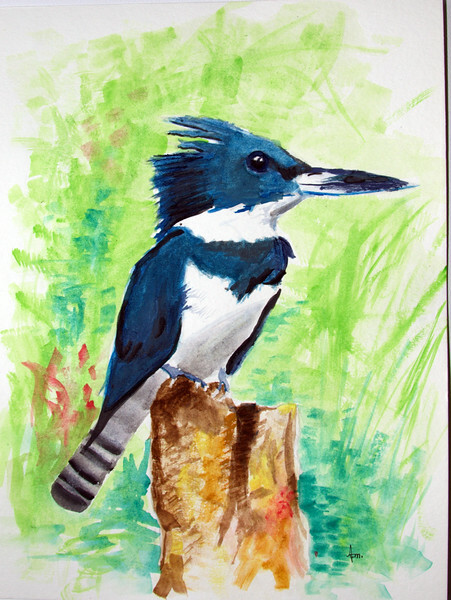 "The bird I painted is a Belted Kingfisher. I painted this bird because I like to go birding. It reminds me of family trips to the Indiana Dunes State Park. I also painted the Kingfisher because it is a great example of a nice dark blue."